Hey guys! So in the spirit of the thirty days of dupes challenge I have found some excellent dupes of Anastasia Beverly Hills Liquid Lipsticks. My review of those can be found here. However, the new dupes that I’ve found have LONGER staying power than the Anastasia ones. And guess what? There’s a £12 difference between the prices of the two products which is absolutely astounding. The dupes are from MUA which can be bought from Superdrug. Either online or in your local store. I’ve reviewed and swatched them in the video so please take a look and don’t forget to like and subscribe to my new YouTube Channel! Nice review and video. 🙂 I've been seeing these products everywhere (youtube, instagram, etc) and I heard that it's also a great dupe for Lime Crime. 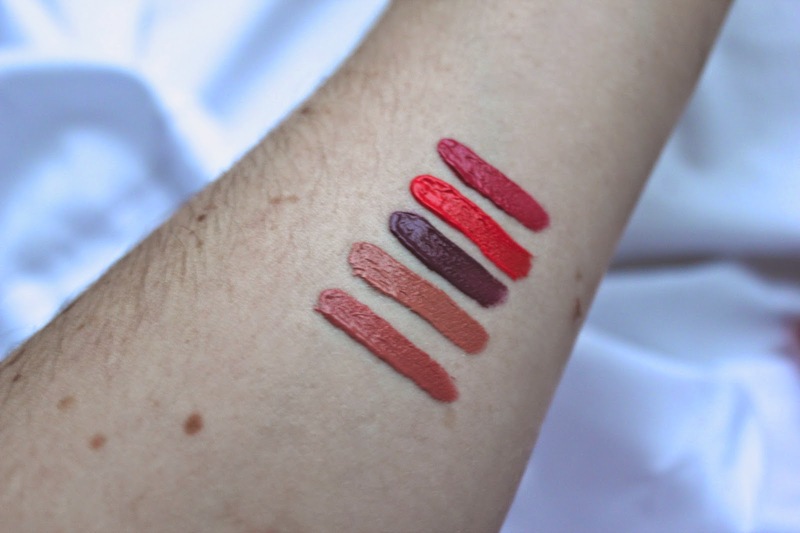 lovely swatches right there. the pigments are awesome. Thanks for dropping by my blog dear. hugs from the Philippines. Oh my god, they look so good. Unfortunately, we don't have MUA in our country. I really like your Blog. Very interesting Posts. Would you like to support each other and follow on GFC/Bloglovin? If yes please follow me and then I follow back. Hope we stay in touch! well I hope these bring these to America because I really want them! !